These really are a lovely pen pack of skin tones. 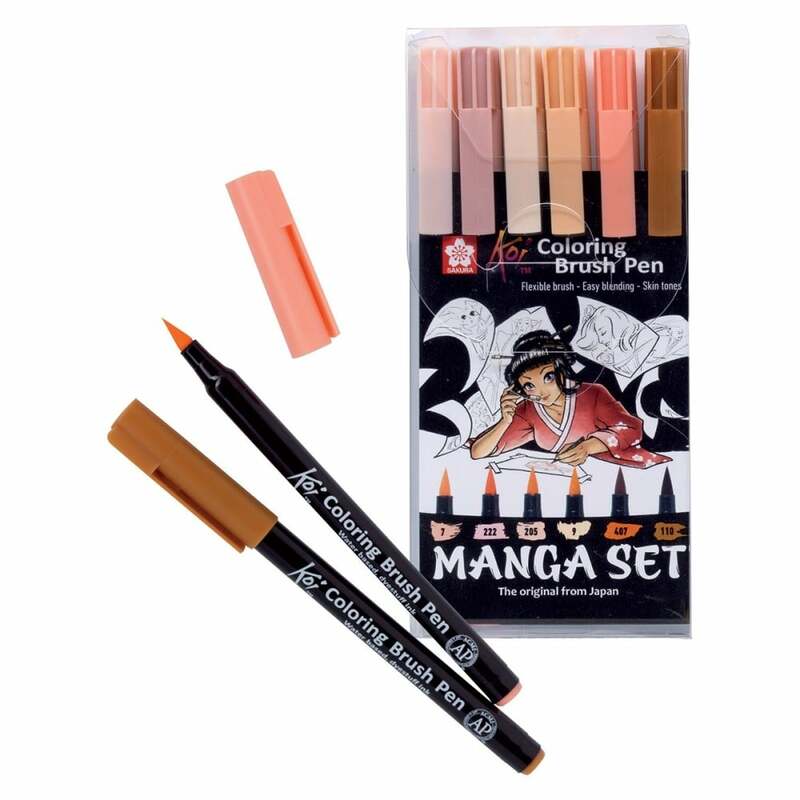 Sakura's brush pens provide the ultimate in precise and flexible line control, adding versatility to your drawing and illustration practice designed for perfect skin tone illustrations. Highly blendable and offers print quality, streak-free coverage.